Formed in 2007. 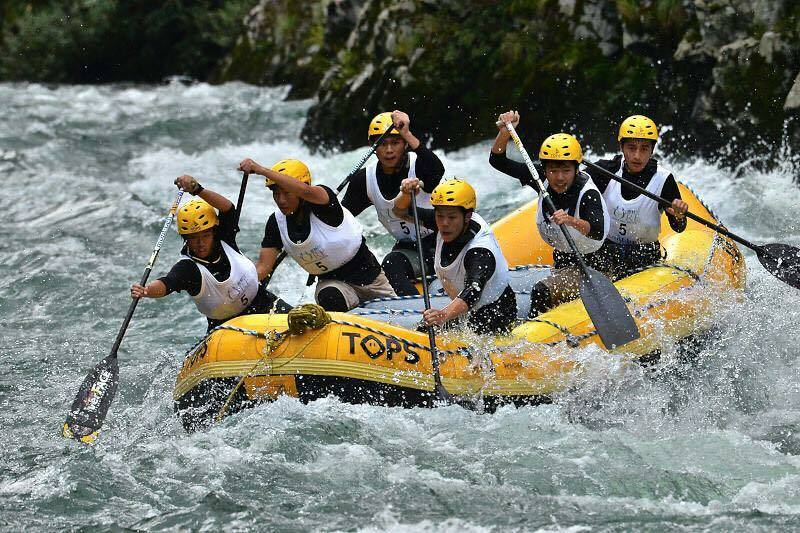 After that, going through a transition if team members and team name (“THE RIVER FACE”) , now all the members live along the Yoshino River Middle Region (Miyoshi City · Otoyo-cho), and they are active with eight people, who are working as river guides at the rafting company. Usually they practice at the Yoshino River using the time on weekends, and early morning on weekdays; in total six days per week. At the world championship so far, they achieved higher ranking many times. In this year’s world championship, as a team organized by local people, they aim at the first prize which they never achieved in six–person system. Formed in 2002. This team was established by Sigeto Asano, who watched the world championship in 1995 at Zambezi River in Africa Zimbabwe, which is said to be the world’s best torrent. At that time, he was shocked at the scale and potential of sports rafting, and the history of this team started. Currently as the only professional rafting team in Japan, they achieved higher ranking in various kinds of world/domestic tournament, including the first prize. 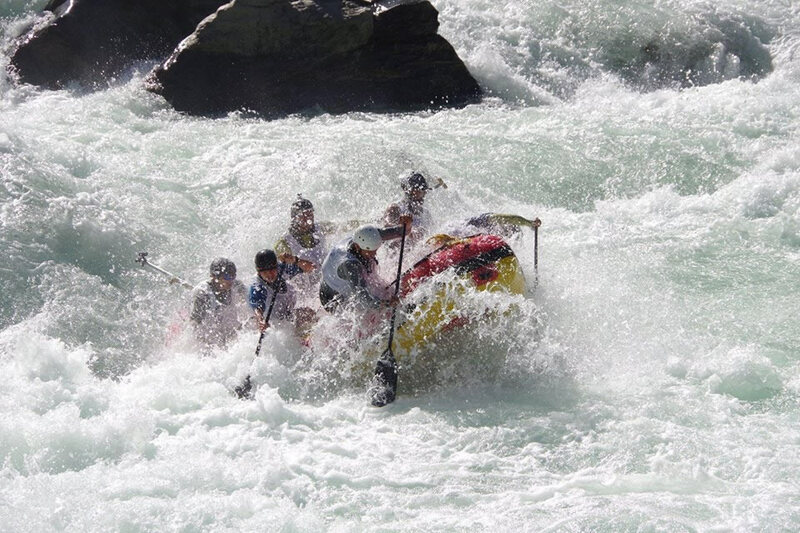 With these experience, they become one the top rafting team in the world. Mission of Rafting team TEIKEI is “to be the world's best in race rafting" and "Popularization of race rafting in Japan". In this year’s world championship, they will put their heart into the race and aim at the first prize, with the pride of top rankers. 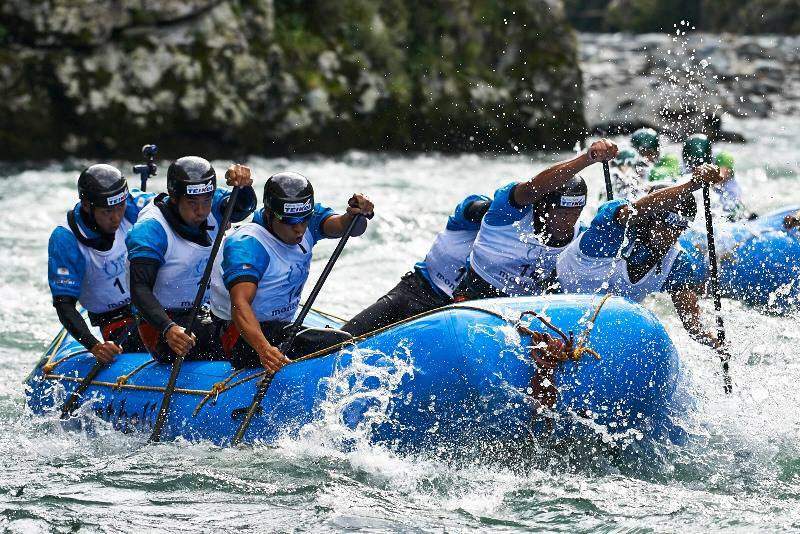 This team was formed with the river guide, which has been acting the Yoshino River, , following the fact that Yoshino River was selected as the venue for the rafting world championship 2017. 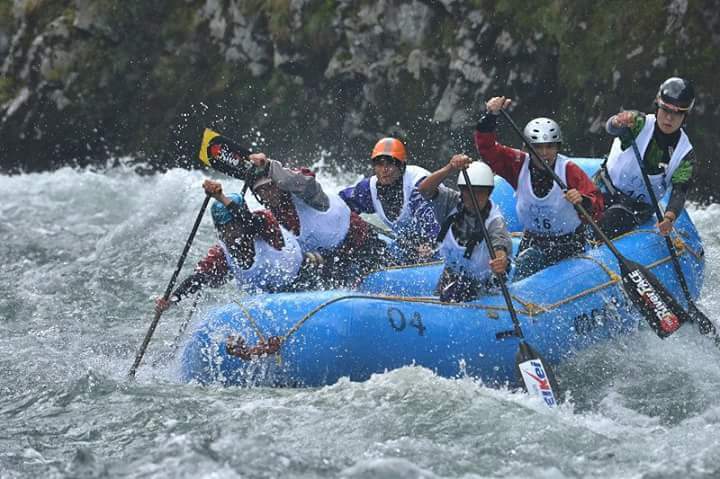 Since the living place of the members is scattered over a large area, usually they are doing individual training.On regular team training, they are trying to improve all of physical, mental, technique, teamwork, which is essential for rafting. In order to achieve a higher-ranking at this October’s championship, they are planning to have a practical experience by participating domestic Rafting tournament. A team was formed to win the first rafting world championship in Japan. Every member of the team has participated in international games in other paddling competitions such as canoes and kayaks and they have extensive experience of winning. The strength of this team is "High level in individual ability” and “Rich in experience”. If they can successfully match these strength as a team in a single boat, they believe they will achieve good result in this championship. They swear they will do the best for their families and people who always support the team. Race rafting team consisted of Hitotsubashi univ Rafting club STROM member. Since they achieved a higher ranking at the world championships so far, they have high ability and rich experience compared to the other teams of the same generation. Current team is consisted of the students who are the same year as each other. They have a sprint of teamwork and do the performance in well-organized way. Also, they are top level in developing racing strategy such as river reading and course making. They are doing training in an actual race style five days per week at Tama River or Mt.Mitake near the university.In this tournament, they will give full play to their ability and set the goal of “winning the first prize in all events” and “Overall winning in junior division for the first time as a Japanese team”. They appreciate the opportunity to participate in the world championships held in Japan, and they will fascinate the audience at Yoshino River, showing their sophisticated teamwork. "Miyoshi Rafting Team TRAKT" was formed by the high school students in Miyoshi City to join the rafting world championship. The origin of the team name “TRACT(tract)” is an abbreviation for T = = Tokushima, R = River, A = Amusement, K = Know, T = Team. This team name includes the meaning “The team which knows the attractiveness of the river in Tokushima”. They want to pump up this championship, and also locals with the people in Miyoshi City. In order to do so they will do their best performance in the game. 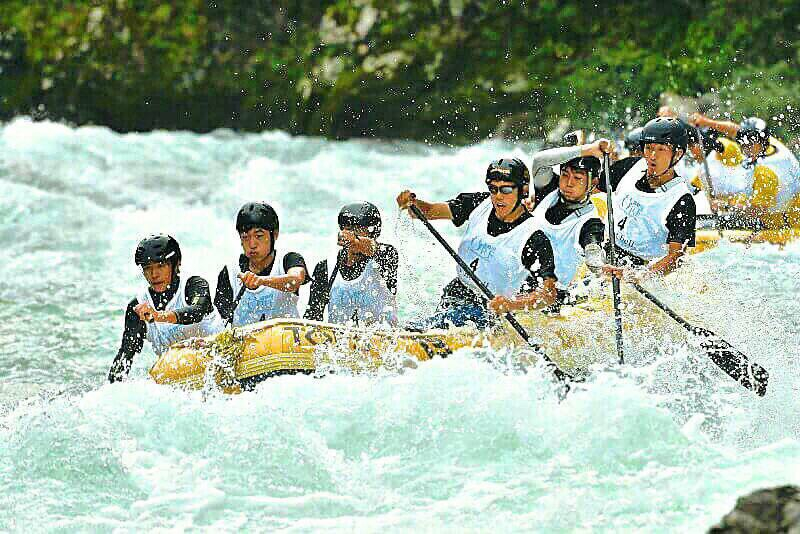 They will aim for the overall victory in the youth men’s category without forgetting the joy of being able to participate in the rafting world championship held in the local / Yoshino River and appreciation of being supported by many people.